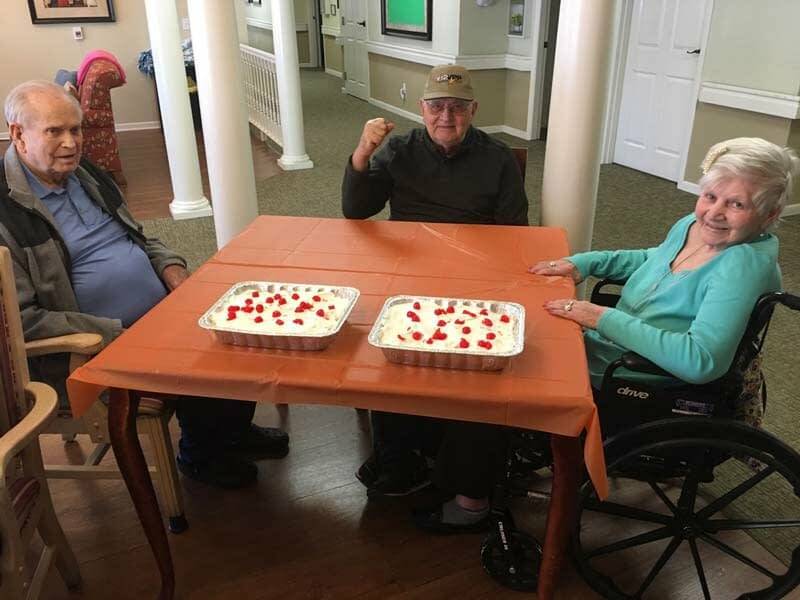 Every Tuesday afternoon at The Lantern at Morning Pointe Alzheimer’s Center of Excellence, Clinton (TN), the baking club gets together and creates a yummy treat for everyone to enjoy, courtesy of Sandie Payne, a resident assistant at the Alzheimer’s memory care community. Although Payne is relatively new to the role of the baking club’s leader, having volunteered to take the helm after the previous leader stepped down, she is no stranger to baking. She has fond childhood memories of helping her grandmother pick cherries for her famous cherry pie, and she often baked apple pie with her mother. Now, as an adult, Payne is just as known for her baking as her mother and grandmother were.